Home/Auto Accident Injury Care, auto accidents/After an Accident, When Should I See an Auto Accident Chiropractor? Many people wonder how soon after an accident they should see an auto accident chiropractor for spinal care and other treatment. In short, the answer is: as soon as possible. While some collisions require urgent care (if there are broken bones, bleeding, brain injuries, and other serious injuries, go directly to an emergency room), a chiropractor can help treat soft tissue injuries like whiplash, headaches, dizziness, or back pain. Reza Chiropractic Clinic in Northeast St. Pete offers convenient care and individualized treatment plans that work around your schedule. 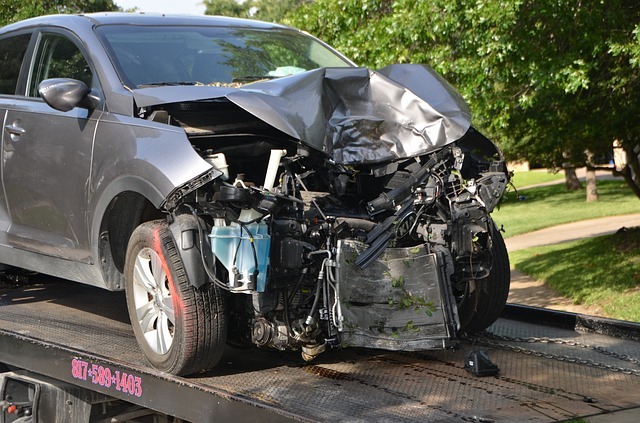 The time immediately following a car crash may be wrought with intense emotions like fear, stress, or anger. The adrenaline rush can mask symptoms like pain, leading people to think they do not have an injury at all. Many victims do, in fact, have an injury, but don’t seek medical care right away because the symptoms don’t develop until hours or even days later. That’s why it’s critical to seek medical attention as soon as you can after an accident. Visit an auto accident chiropractor to check your musculoskeletal system for any misalignments, pinched nerves, slipped discs, or other sources of pain. In the state of Florida, drivers must carry at least $10,000 in Personal Injury Protection (PIP) benefits. To maintain these benefits, victims must seek professional medical care within 14 days of an accident. However, it’s better not to delay, since your symptoms can worsen in that time. And if you file a claim, the insurance company may question why you waited so long, which may call into question the legitimacy of your claim. Instead, make an appointment with an auto accident chiropractor for a thorough assessment. By visiting an auto accident chiropractor after a crash, victims can get pain relief and a diagnosis for any injuries. Chiropractic care can target the source of your pain and provide an effective, drug-free, surgery-free to relieve pain, restore mobility, speed healing, and support your insurance claim. To schedule an appointment at Reza Chiropractic Clinic in Northeast St. Pete, call us today at (727) 526-7700 or contact us online.